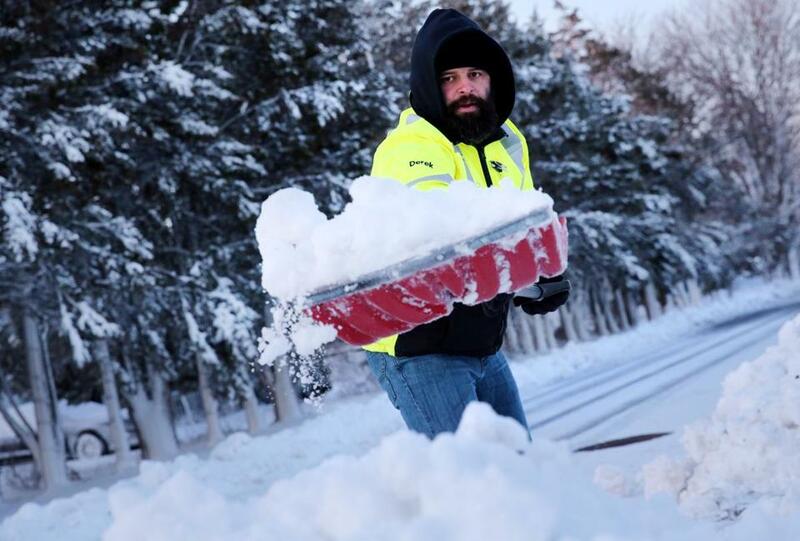 Derek Davies shoveled the driveway outside his home in the Ocean Bluff neighborhood of Marshfield after the third nor’easter of the month tapered off overnight, leaving behind more than a foot of snow in many areas and thousands without power. Last winter exposed the inadequacies of the state’s energy infrastructure. An extra dollar a month, to ensure the lights stay on in the dead of winter, might not seem like such a big deal. But Massachusetts residents already pay the highest average retail price for power in the continental United States. The rest of New England isn’t far behind. So a decision last week by federal regulators that cleared the way to add up to another $1 a month for all New England ratepayers, for two years starting in 2022, should set off alarms. And not just because of those payments, which will go to prop up an uneconomical power plant in Everett, and the adjacent liquefied natural gas port. It’s what the Federal Energy Regulatory Commission, the five-member body that approved the bailout, said might be next. Richard Glick, one of the commission’s Democratic appointees, who dissented in part from the order, warned of “tremendous costs” to come in New England, as more money-losing power generators — which also tend to be the dirtiest — take the Everett deal as a cue to ask for their own handout. “I suspect that the most likely outcome of today’s order will be a parade of uneconomic generators seeking” similar arrangements, he wrote. The Environmental Defense Fund says that its research shows utilities Eversource and Avangrid essentially reserved excess gas pipeline capacity on frigid days, causing the cost of natural gas to rise significantly. The costs coming, and the additional ones Glick warns might be on the horizon, cry out for the Legislature’s attention — especially because Beacon Hill is principally responsible for the region’s failure to solve on its own the winter energy shortages that led FERC to conclude the Mystic rescue was necessary in the first place. It’s hard to remember amid the midsummer heat, but last winter again exposed the inadequacies of the region’s energy infrastructure. Without enough natural gas to fuel power generators on frigid days, the grid relapsed to dirtier old coal and oil-burning plants instead. It also relied on Mystic, a unique plant that runs on liquefied natural gas that arrives by ship from Trinidad and Tobago or Russia, circumventing the region’s pipeline bottlenecks but incurring higher environmental costs than pipeline gas. The problem with those plants — aside from the extra greenhouse gas emissions they generate, sabotaging the region’s climate goals — is that they’re expensive. So expensive that they can’t compete during the rest of the year, and are shutting down. Exelon, the owner of the Mystic plant and soon-to-be owner of the LNG terminal, said it would close the plant in 2022 without aid. That’s an outcome the region’s grid operator, and now federal regulators, have said poses unacceptable risks. In the ruling, FERC said that ISO New England, the power grid operator, should craft a framework to charge customers extra to keep Mystic or plants like it that can guarantee “fuel security,” meaning they can run any time and for lengthy periods. FERC also ordered the ISO to speed up its efforts to write a value for security directly into its market rules, meaning the cost of security will be marbled into the region’s already-high average retail price for power. One of the GOP-appointed commissioners, Robert Powelson, who also dissented in part, said that expanding gas infrastructure would be the “least-cost option” to address winter energy needs by tackling the underlying problem — a conclusion the rest of the region already reached by authorized financing for pipeline capacity. The Massachusetts Legislature could pass enabling legislation, but hasn’t. Pipelines have been embraced as a convenient environmental bogeyman, blamed for everything from inviting enemy attack to the imminent incineration of West Roxbury, and politicians have been unable to see past the hyperbole. Now that the costs are starting to materialize, it won’t work to blame ISO New England or FERC, which appear to be doing the best they can to cope with a problem Massachusetts has foisted on the region. For their financial sacrifices, New England residents won’t be getting cleaner power — they’ll just be keeping less climate-friendly generators on life support indefinitely. The Legislature let the problem get to this point, and the Legislature needs to solve it too. Correction: This story has been updated because an earlier version incorrectly said Massachusetts has the highest power bills in the continental United States. Massachusetts has the highest average retail price for power in the continental United States.